This blog will give you a behind the scenes look at the goings on leading up to Open Farm Sunday and beyond! 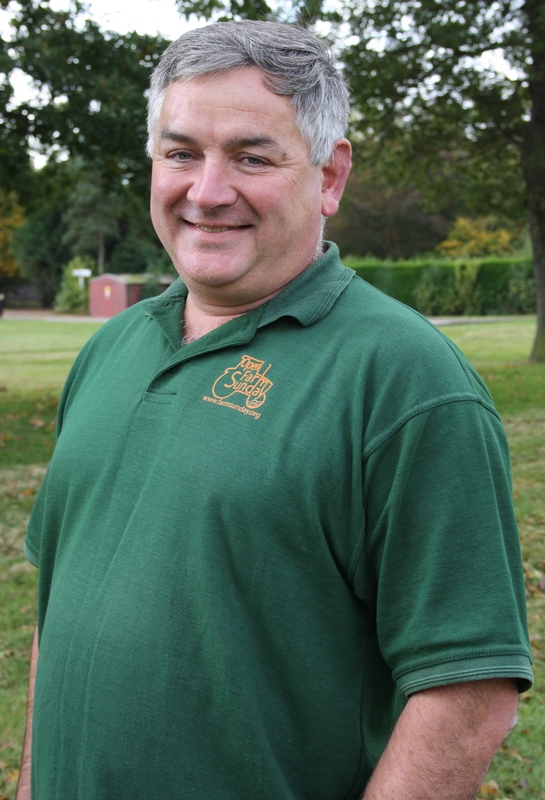 Andy Guy is Open Farm Sunday Regional Coordinator for the East Midlands. This will be Andy’s eleventh LEAF Open Farm Sunday and he remains just as excited about the event now as he was back in 2006. Here, he shares some of his Health and Safety top tips. As I write this piece about Health and Safety on Open Farm Sunday, most hosts will be torn between topdressing and silage planning but there are important priorities that need your attention ahead of the big day. Many farmers cite Health and Safety issues as the main reason they don’t participate and yet, with proper planning, this is something that can be overcome. That said, the safety of your visitors, helpers and staff on 11th June is your responsibility and thinking ahead now can save a lot of time later. Here are some of my key pointers, but do read the H&S guidance given in LEAF’s Host Farmer Handbook. Always a top priority. Risk assessments help you identify the hazards on your farm and work out how to minimise and control them. The aim is to find all the things that might cause harm to somebody and list them, along with the type of injury that might be inflicted. List what you already do to reduce the risk of injury or harm and work out whether it will be sufficient to protect your visitors. If you need to do more, then record the actions required, who will implement them and when. One tip, which makes risk assessment easier for me is to find a friend to walk round your farm with you (my self-employed builder pal has proved most useful). A fresh pair of eyes is always helpful! You’ll find a blank risk assessment form at the back of your Host Farmer Handbook and remember to give a copy of your completed risk assessment form to your helpers. You need to inform your insurers you are hosting an Open Farm Sunday event. Most farm insurance policies cover you for Public Liability and many brokers will be happy to extend the cover to include Open Farm Sunday at no extra cost. You need a minimum of £5 million public liability insurance (if you regularly host school visits you will probably need £10 million). 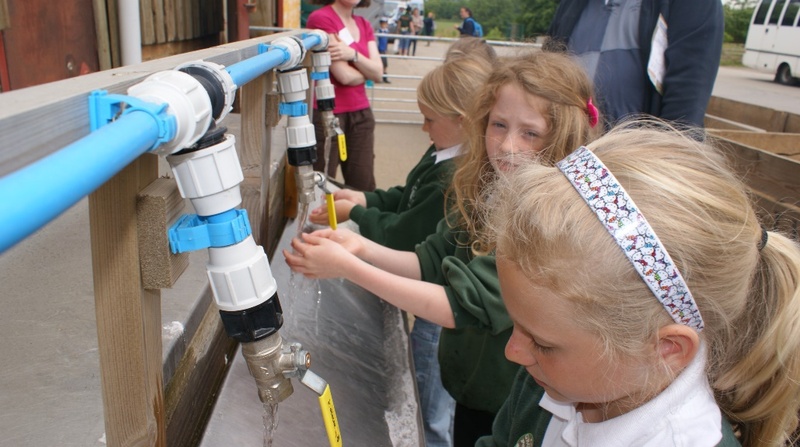 If your visitors come into contact with farm animals, you need to provide hand washing facilities – running water (even better if you can manage warm running water), liquid soap and paper towels. Refer to the industry code of practice here. Please don’t think that the antibacterial wipes or gels are good enough, they do not meet the recommendations of the Health and Safety Executive and should only be used to reduce the risk whilst people make their way to the proper facilities. In the UK, food handlers do not have to hold a food hygiene certificate to prepare or sell food. However, food handlers need to have knowledge of the basic principles of food hygiene. The Food Standards Agency (FSA) offers advice online here which you must follow and I would recommend anyone handling food at your event watches the FSA’s 10 short food safety coaching videos (each approx 1 minute long). Areas where food is served (as well as picnics) must be well away from livestock and have been free from livestock for three weeks prior to your event. Ensure visitors wash their hands before eating. LEAF has prepared some signs you can download, print and display to encourage handwashing. My top tip is to talk to the WI who may be willing to help out with providing refreshments for a good cause like LEAF Open Farm Sunday. Having a qualified first aider on site does offer you peace of mind. If you don’t have anybody in your team, consider talking to school teachers or scout leaders who are often qualified. The other tip here is to be sure that all your helpers have the mobile number of your dedicated first aider. It’s no good having someone on site if nobody can find them! No-go areas, such as the grain bin and fertiliser store: Lock up. Cordon off. Keep visitors away. If visitors can climb on static machinery: Remove keys. Limit fuel in the tank. Brakes on and use chocks. Implements and loads on the floor. Supervise if allowing people into the cab. Livestock bio-security: The golden rule is ‘clean in, clean out’ and keep visiting stock separate from other stock. Don’t forget to be aware of your personal safety: Keep your house, workshop, etc locked. Be aware of anyone suspicious. Keep valuables locked away or supervised. 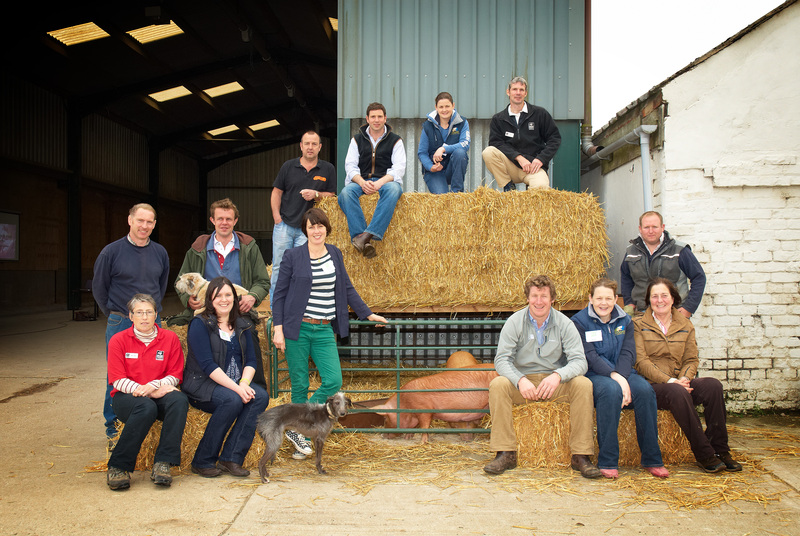 Polly Davies and her family manage Slade Farm a mixed organic tenant farm near Bridgend in Glamorgan, South Wales. The farm has a small butchery and meat box delivery business, which supplies the local community with beef, lamb, pork and Mutton. Here she talks about helping people become ambassadors for locally produced food through Open Farm Sunday. We have been opening the farm for Open Farm Sunday for about ten years. We get around 1000 people coming from right across South Wales. Opening the farm has made me realise that not many people know what farmers do or where their food comes from. I think this year, with Brexit and the salad shortages, it is more important than ever to engage the general public in food and farming. I really believe that giving people an insight into what we do and raising their awareness of the benefits of eating locally and seasonally, will help them become ambassadors for Welsh farming and food. LEAF and the Open Farm Sunday team make opening much less daunting. The Host Farmer Handbook, particularly the Risk Assessments included within it, take you through the potential Health and Safety issues in a very accessible way. We are a working farm not a farm park so for a week before Open Farm Sunday, we focus on tidying up the farm to make it really visitor friendly! We pull in help from our local Scouts and Adventure Scouts groups, which is a great resource to draw on. They also do a fantastic job supporting us with car parking and entertaining our visitors with additional activities. I also rope in all our friends and family, as you cannot have too many volunteers! 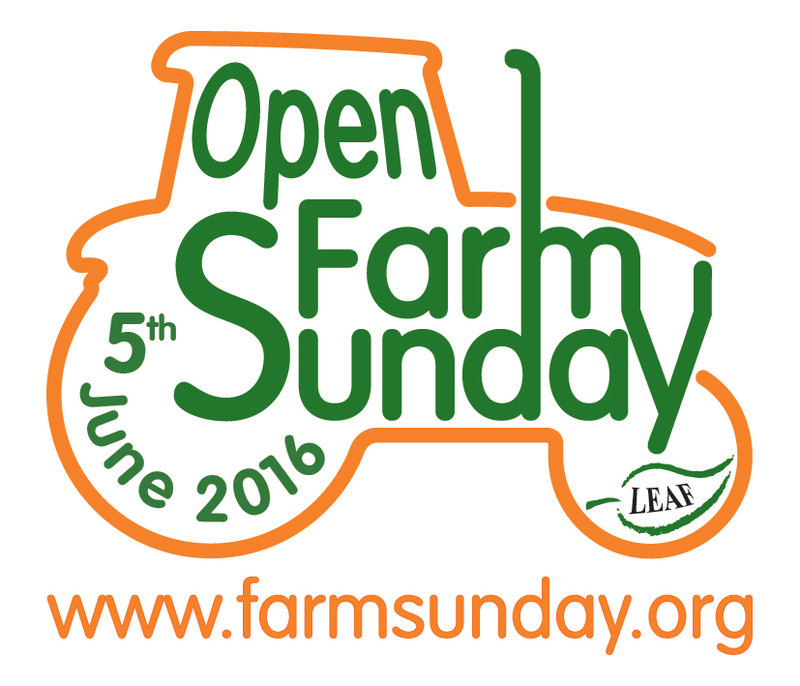 LEAF Open Farm Sunday is farming’s annual open day and takes place on the 11thJune 2017. Register your event and order FREE resources here . To find a farm that’s open near you click here. 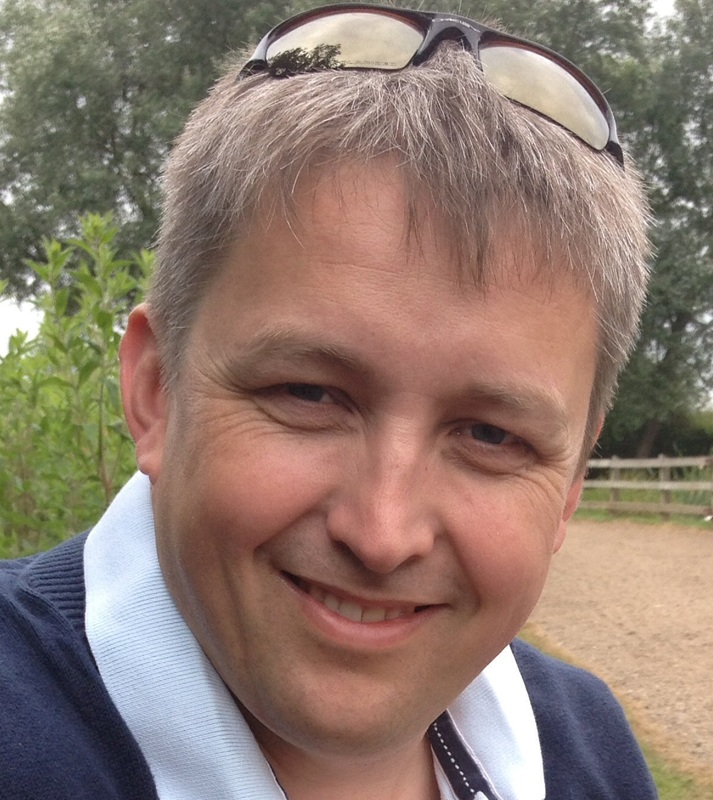 David Jones is a farm manager for Morley Farms Ltd in Norfolk growing 800 hectares of combinable crops and sugar beet. The farm also hosts about 35 hectares of field trials for NIAB TAG, the John Innes Centre, Agrovista and others. Every year the farm has about 800 visitors including school children, students, farmers, consultants and international groups. 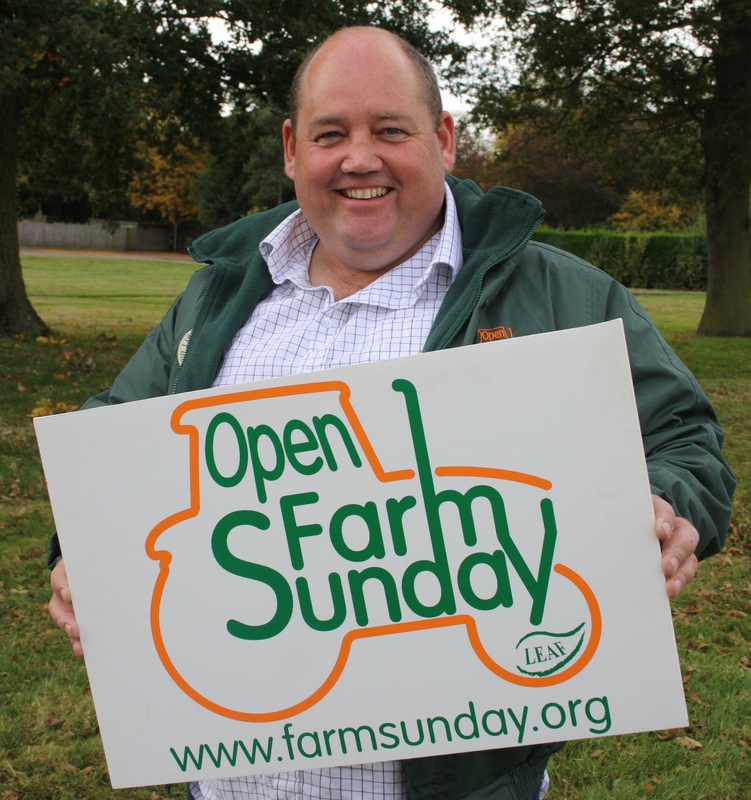 David has helped and co-hosted several Open Farm Sunday events and in 2013 became the Open Farm Sunday Regional Coordinator for the East of England. So engaging visitors in a range of short activities is advised. One idea is to run a little competition or game. For example, fill some jars with seeds (wheat, barley, grass seed, clover etc), then have some plants growing in pots and display the foods that the crop produces. The game is to match the seed to the plant to the food. It’s something for the kids to do with their parents help and probably grandma knows all the answers! My thought is that as long as people make an effort they get a prize, it could be a lollipop, sticker, pen, key ring, it works for kids of ALL ages. This is a great way of breaking the ice and to start a conversation about crops and the foods they produce. Virtually everyone loves sitting on tractors and machinery. The other thing that kids of all ages like is a spot the difference competition. Instead of two photos, why not have two real tractors! 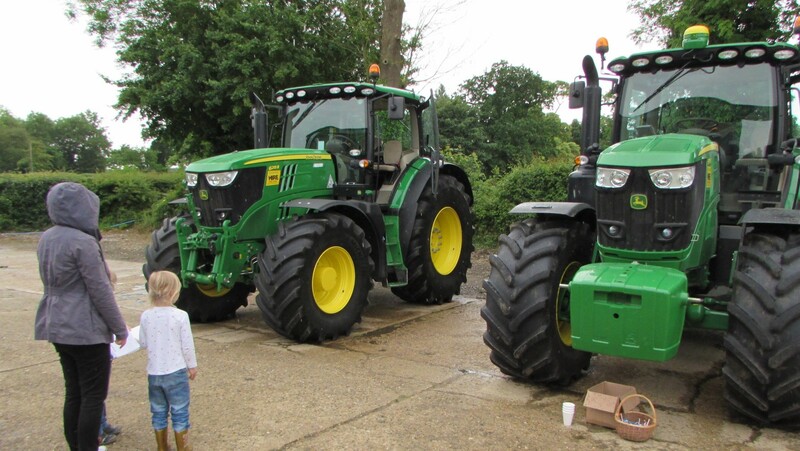 If you ask someone nicely it may be possible to have two tractors virtually the same. It could be simple things like take a light off or remove the toolbox. This gives people the chance to really look at the tractor rather than just sitting in it and you get lots of questions – What does this bit do? What it this for? We found that some spotted the simple differences but others noticed there was a wrong colour washer used underneath the mud guard. The point is that it is not just sitting on a tractor and if you have made an effort you get a lollipop! There is nothing worse than a person standing behind a table with a banner and a few leaflets. It can be intimidating for people on both sides; so as a visitor with children, how do you make conversation? Is it interesting for me? For my 2 year old? For my 6 year old? And how do I break the ice? Share the magic of farming this Open Farm Sunday! So often I have been on visits to other businesses where people tell you about how many widgets they produce, how many million man hours they use but rarely do I find out what they actually do. Put yourself in your visitor’s shoes, think about what will interest them and, more importantly, what they are likely to remember next week, next year. Use facts that are memorable to adults and children. For example, 1 square metre of wheat could produce 1kg = 1 loaf of bread. NOT ‘we get a yield of 10t/ha which makes 10 000 loaves of bread’. What does a tonne look like? What is a hectare and 10 000 loaves would make me sick! Use props, if talking about silage, stand next to some or have some in a large bucket so your visitors not only hear and see but also smell and feel. If you are explaining part of a cycle or system like how you make hay, if the machines are not to hand, why not get some toy tractors to show the process. Simply use a white board to show the life cycle of a sheep flock (it works for school teachers). Can your visitors hear you? Consider getting a microphone or simply manage the group size. So when you have registered your Open Farm Sunday, you are preparing your event, you have cut some grass, swept the farm from the sheds to the stables, banners are up, handed out invites, developed a car park with an elaborate one way system. First car arrives. It’s the June 11th Open Farm Sunday is GO! And good luck sharing some of the magic in farming! 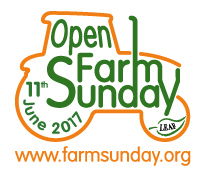 LEAF Open Farm Sunday is farming’s annual open day and takes place on the 11thJune 2017. Register your event and order FREE resources here . To find a farm that’s open near you click here. Remember to tune into our OFS Bitesize webinars for ideas, information and top tips on hosting a great event. 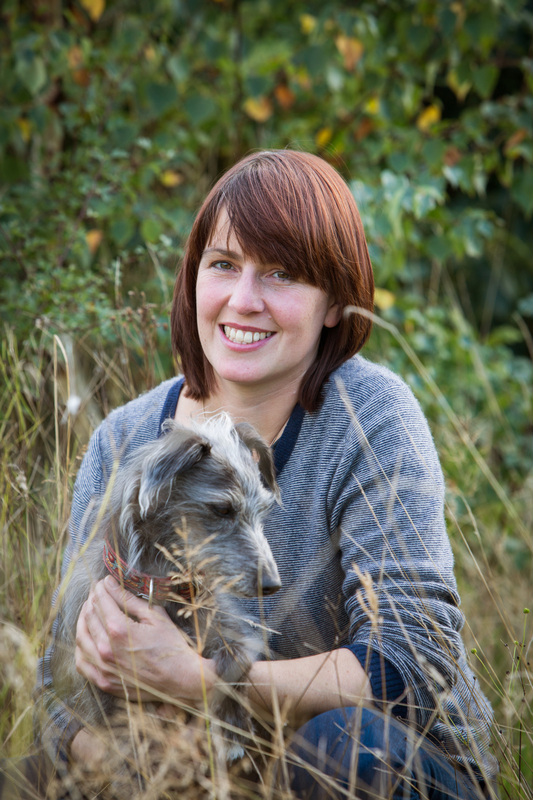 Jo North and her family are third generation tenants of a farm in the South Downs National Park, and they regularly host Open Farm Sunday events. The farm is just shy of 1,000 acres – mixed dairy and arable, with small beef and sheep enterprises; their milk is sold to Tesco, via Arla. 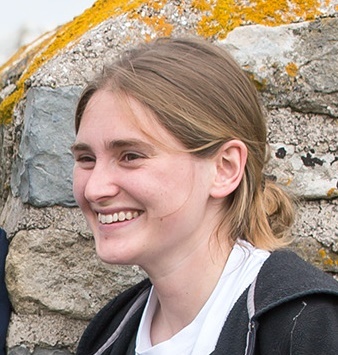 Jo is LEAF’s Open Farm Sunday Regional Co-ordinator for the South East and here she considers publicity for Open Farm Sunday events. 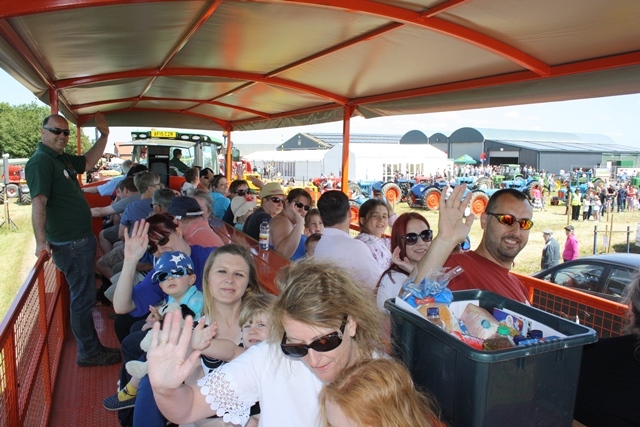 Last year, 22% of Open Farm Sunday visitors had never been on a farm before – so what is obvious to you and me, may be fairly alien to your visitors! If your main event activity is a farm walk which is likely to be muddy, ask visitors to come ready to walk, know to wear wellington or walking boots, and to come with sun tan cream or waterproofs! Thanks to the national Open Farm Sunday sponsors, LEAF is able to produce a range of resources for you to promote your event. Order them free of charge via the website www.farmsunday.org – you will need to log in to the system to place an order. Small events: If you want to host a very small event for a select group of people, opt to ‘hide’ your event so it does not appear on the Open Farm Sunday website. Order the FREE Open Farm Sunday postcards which you can use to personally invite friends, neighbours, local interest groups, parish councillors, etc. Ask people to RSVP to give you an idea of how many people will attend. Medium sized events: Promote your event in the parish magazine, on village websites. Order FREE Open Farm Sunday A5 flyers and A4 posters to overprint with your event details and distribute locally. Use local networks such as the Scouts, WI, Rotary Club, conservation groups, etc. Contact local primary schools and ask if you can provide promotional text to go in the school e-newsletter to parents or if they will put an event flyer into each child’s school book bag. When promoting your event on posters, websites, etc, give visitors a clear idea of what to expect. They will want to know what they can see and do on the farm. If refreshments will be available or if they can bring a picnic. If dogs are welcome or not. Whether your event is wheelchair friendly. Will there be any charges or is the whole event free. Most importantly, if it rains will the event go ahead and how much will be under cover. Don’t forget some publicity tactics require long lead times, such as adding an entry to a ‘What’s on’ guide in a monthly magazine, or getting a feature into a parish magazine. Other activities are more immediate – it can take minutes to set up a Facebook, Twitter or Instagram account and you can tap into the power of social media to swiftly have your event promoted, shared and liked by hundreds of people. It is conceivable that if you unwittingly post something that is far more of a draw than you imagined, you could end up with more people than you bargained for. However, in my experience this has never happened – but consider what you post before clicking ‘post’! In the cold light of January, while the memories of mince pies and mistletoe are fading, the decision to register the farm for Open Farm Sunday can feel something of a challenge. Farms rarely look their best at this time of year and mine is no exception. However, starting to plan the day and putting my thoughts in order soon combats the doubts. Farms come in all shapes and sizes. With some basic planning all are suitable for a public visit. For me, collaboration is the key tool in clarifying what needs addressing and how. By talking to other farmers and friends, some of whom have opened their farm successfully before, my confidence is soon restored. My perception that everyone else’s farms are brand new, perfectly manicured examples of model farmyards is soon dispelled. Farms come in all shapes and sizes and the vast majority are, with some basic planning, entirely suitable for a public visit. In my experience, the two most common anxieties seem to be health and safety and ‘Will I be overwhelmed with visitors?’. I find it helpful to remind myself that Open Farm Sunday is an opportunity for the public to visit my farm on my terms rather than theirs. Although it is important to keep visitors safe, we all have areas on the farm that we would rather they don’t see or are impossible to make safe. My ‘in stock’ spare machinery, (some may say scrap), is unsightly and potentially hazardous if people had access to it. My chemical shed and workshop are not ideal and my concrete yard should have been completely resurfaced ten years ago. However, it is perfectly acceptable to restrict the areas that visitors have access to. I have found that they are not necessarily expecting the ‘brochure’ farmyard, they are just keen to hear my story about my farm. They fully realise it is a working environment, not designed in the first instance for public access. I also find the impetus that Open Farm Sunday gives me to instigate some tidying up is a positive one. Remember also that while the farm can look a bit glum in January, by June it is green and hopefully with a sunny day, the whole outlook is changed. In my experience, some time and thought is very well spent in planning food, hygiene and the order in which people are directed around the farm. The guidelines provided by LEAF make this easy and inexpensive. Again, I have found collaboration to be key; by getting the local WI to provide teas and cake for charity, I fully complied with legislation and raised some money for a local good cause. Engaging friends and neighbours to help with parking, contingency plans and so forth all help to spread my workload on the day. In terms of the fear of being overwhelmed with visitors, I talked to other host farmers and OFS staff and found their knowledge and experience invaluable. LEAF’s Host Farmer Handbook is full of useful information on the right level of promotion for the number of likely visitors. I was able to arrange contingencies for parking and traffic to give me a reasonable margin of error and talking to others, reminded me that problems in this area are extremely rare and really only apply to TV celebrities! My insurance company were very supportive and also had a wealth of helpful information as did most of our suppliers and contacts who were keen to help and offer advice and experience. Overall, my main piece of advice to anyone doing Open Farm Sunday for the first time is: start small and organise your event to suit you and your farm. Then give yourself time and space to enjoy the experience. By accepting help from others, I found I thoroughly enjoyed telling my own story to people who were fascinated by my world without having to worry whether the cake had run out or someone had mislaid their car keys! Open Farm Sunday is on the 11th June 2017. Register here to find out more and get involved and tune into our OFS Bitesize webinars for ideas, information and top tips on hosting a great event. Philip runs the family farm in west Herefordshire. The farm specialises in herbage, cereal and vining pea seed production and has a herd of single suckler beef cattle. Philip’s wife Heather runs a mail order birdseed (all supplied and packed by the farm) and ancillaries business, Wiggly Wigglers together with a mail order florist, The Great British Florist, supplying UK grown flowers only, some of which are grown on the farm. Andy Mitchell, M&S Agronomist (soft fruit, top fruit, tropical and dried fruit and nuts) reflects on the 10th Anniversary Open Farm Sunday and his time at Castleton Fruit Farm just outside Aberdeen, meeting customers and explaining the story behind their food. So the tenth anniversary of Open Farm Sunday is over and the team at LEAF have worked so hard to make this the best yet. 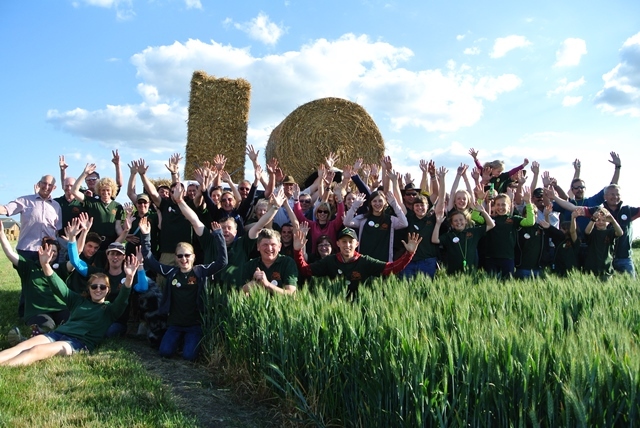 Huge thanks also to our 15 M&S growers who opened their farms to tell their farming story. I do love this event. We at M&S are proud to be long standing sponsors, so in true fashion, I went along to support my local event. This time, I left the cereals of Grantham for the hills and soft fruit of Castleton Fruit Farm farmed by Ross Mitchell, one of our key growers in soft fruit at M&S. For over 15 years, Ross and his family have supported M&S in producing the finest of berries, so it was a natural choice to make our way to just outside Aberdeen. We got to Castleton farm bright and early on Sunday, the Saturday winds that battered the tents and tunnels had been a challenge but the team on site were still smiling. The preparation was staggering – a bouncy castle, a tractor full of balloons, a table full of M&S goodies for a charity raffle and so much more including local food and of course, the wonderful farm shop and restaurant. Having been to a few Open Farm Sunday events now I was hopefully ready for what lay ahead! Engaging with our customers to help them understand why farming is the most vibrant, exciting and tough industry to work in is so rewarding. 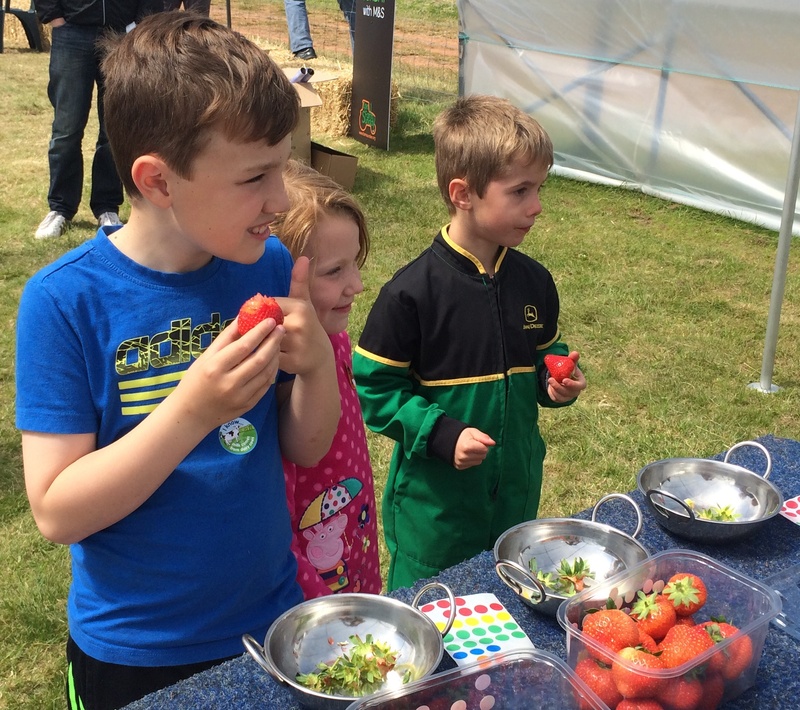 We had a huge mix of people coming to visit the M&S tent, tasting the different strawberry varieties grown on the farm. It is always interesting to find out first-hand what the public thinks and it is never quite what you expect! We got loads of great questions about farming, soft fruit, Open Farm Sunday and M&S. It was so evident that there is such a huge loyalty and love for growers and farmers. This groundswell change has been significant and really the result of the work that LEAF and our farmers have delivered, great job to you all. 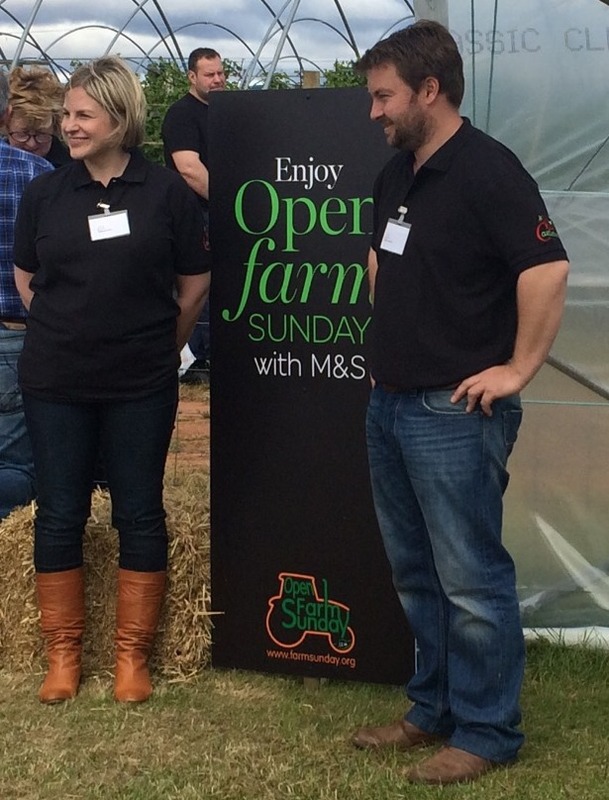 We at M&S have a huge sense of pride when we are able to get so much interaction with our growers and our customers. It is a huge privilege and indeed, our duty as retailers is to tell children about how a strawberry grows, why we need bees and that it takes just 60 days to grow a crop of berries! So while the kids are busy painting, going on tractor tours, bouncing on the huge castle, it’s a chance to talk to the parents and older generation about the local community and, of course, the huge amount of workers needed to make farming happen. This is the whole ethos behind Open Farm Sunday – to explain the realities of farming and dispel the myths. 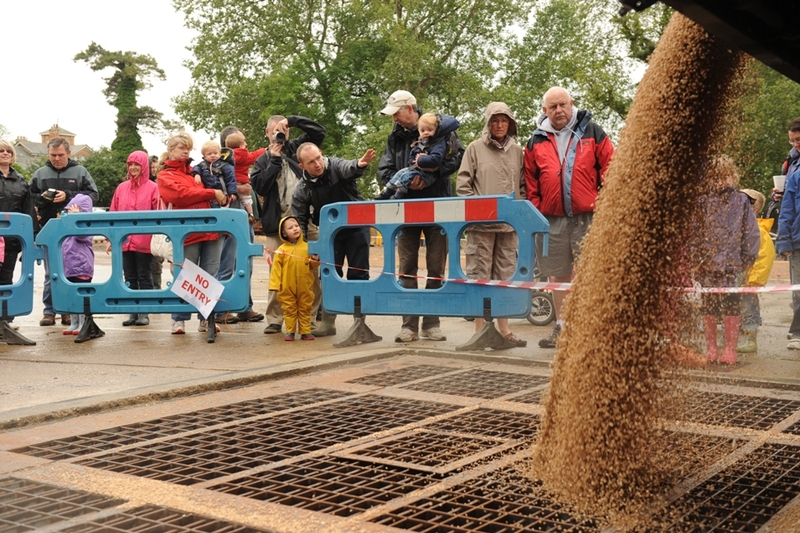 After the warm glow of this year’s Open Farm Sunday, my thoughts turn to next year’s event on the 5th June. M&S take huge pride in our growers wanting to take part in this event and we are already thinking about how we can make it even better for them as well as further supporting LEAF. Our thinking caps are well and truly in place! Caroline Drummond, Chief Executive of LEAF (Linking Environment And Farming) reflects on a record breaking 10th Anniversary Open Farm Sunday. What a day! The sun shone (on most of us!) and the crowds came flocking onto farms in their thousands! 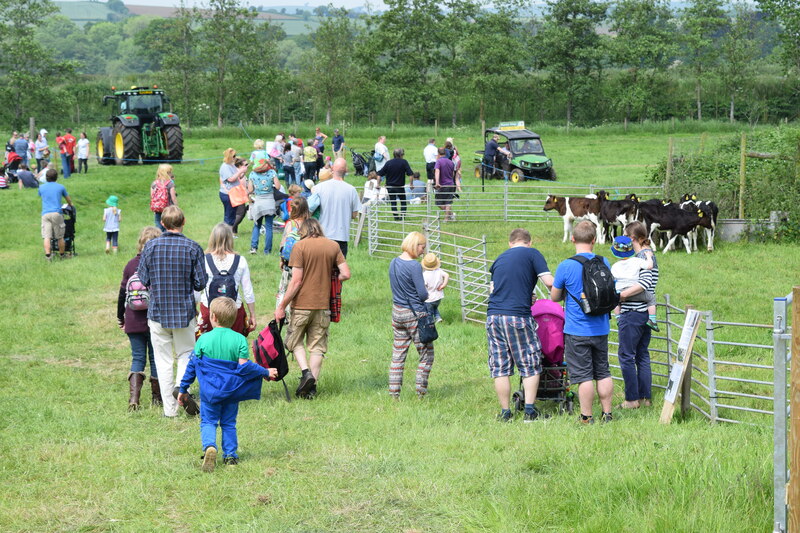 Early estimates show that visitor numbers for Open Farm Sunday 2015 will be over 250,000 – far exceeding the record breaking attendance of 2014 by more than 15%. 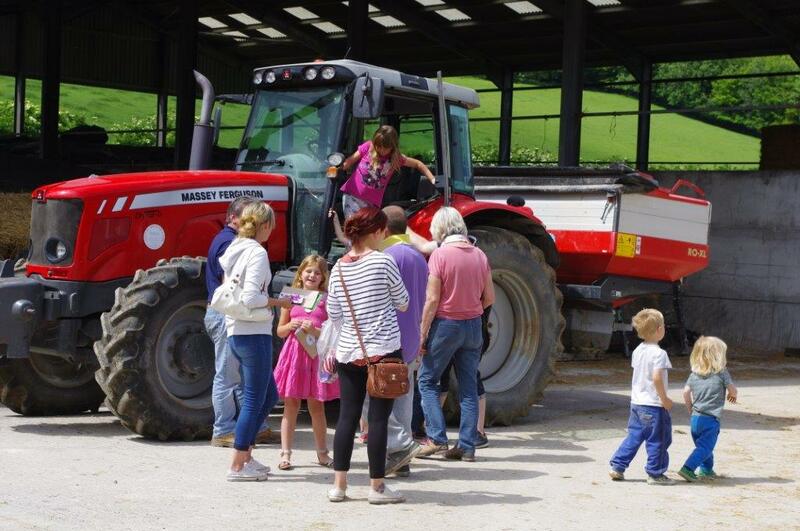 Our tenth Open Farm Sunday has been a resounding success and a fantastic celebration of British farming and food. From the feedback received so far, it’s clear that Open Farm Sunday enabled hundreds of thousands of people to have an amazing day in the countryside, learning about farming and the story behind their food. 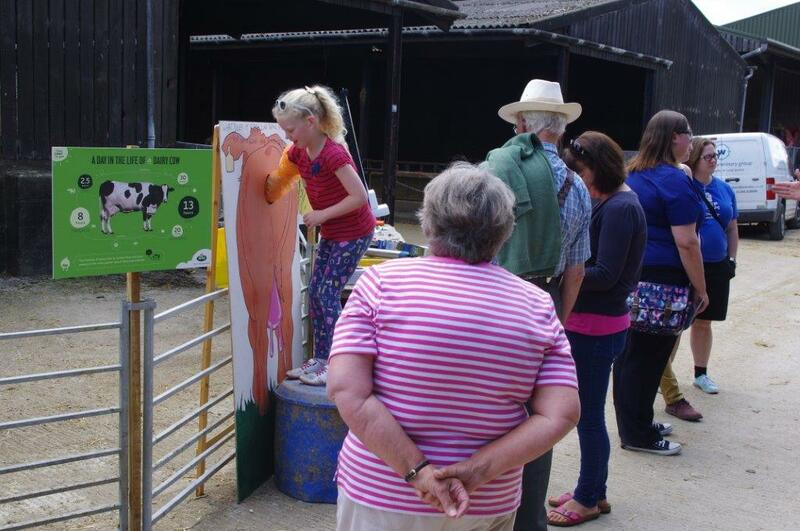 We’re particularly delighted so many families took the time to visit farms up and down the country, many for the first time. Nearly 400 farms opened their gates for Open Farm Sunday. It is the farmers, their families, sponsors, the Young Farmers, the neighbours, others in the industry that we ALL owe a huge debt in helping raise the profile of why farming is great. On behalf of all the LEAF team, I’d like to offer a huge thank you to everyone involved. Some 400 farms opened their gates and it is the farmers, their families, sponsors, the Young Farmers, the neighbours, others in the industry that we ALL owe a huge debt in helping raise the profile of why farming is great. Farmers do not often get a ‘thank you’ for all the hard work they do every single day to produce our food and manage the countryside. I hope all the farmers that opened their gates will be heartened by the public support there is for farming and cherish some special memories. The faces of the children and the families who visited them on Open Farm Sunday, as well as the sheer joy and sense of awe in seeing the livestock, a calf being born or the size and price of the machinery, not to mention the many inquisitive questions. Indeed, the only tears I saw were those of the children not wanting to go home! So a huge well done and thank you! Do take a moment to complete our host farmer feedback form so we can continue to build on the success we have achieved together. 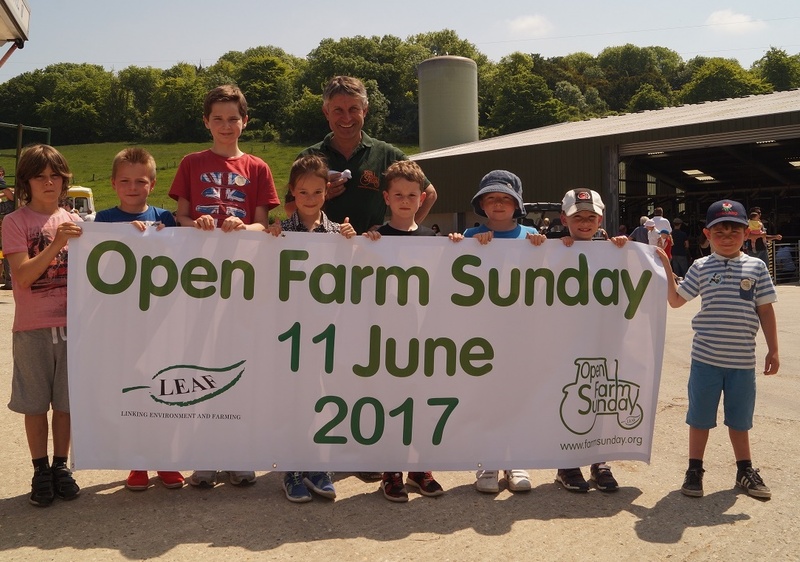 Finally, as well as Open Farm Sunday, LEAF also organises Open Farm School Days, where farms are open for school visits throughout June – click here to find out more. David Jones is a farm manager for Morley Farms Ltd in Norfolk growing 800 hectares of combinable crops and sugar beet. The farm also hosts about 35 hectares of field trials for NIAB TAG, the John Innes Centre, Agrovista and others. Every year the farm has about 800 visitors including school children, students, farmers, consultants and international groups. 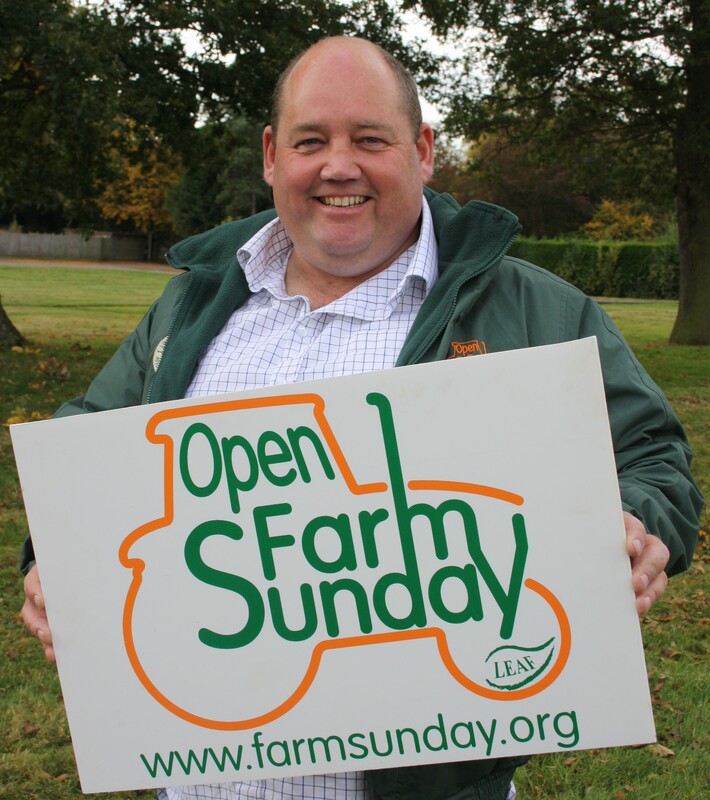 David has helped and co-hosted several Open farm Sunday events and in 2013 became and Open Farm Sunday Regional Coordinator for the East of England. So you have registered your Open Farm Sunday, you have cut some grass, swept the farm from the sheds to the stables, banners are up, handed out invites, developed a car park with an elaborate one way system. First car arrives. 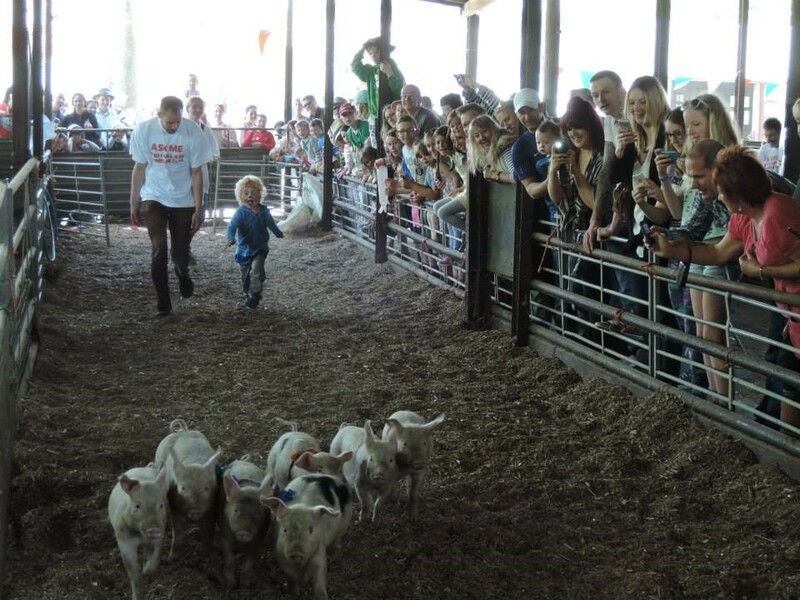 It’s the June 7th Open Farm Sunday is GO! But what are you going to TELL your visitors, well don’t TELL them anything. So often I have been on visits to other businesses where people tell you about how many widgets they produce, how many million man hours they use but rarely do I find out what they actually do. Put yourself in your visitor’s shoes, think about what will interest them in and, more importantly, what they are likely to remember next week, next year. Use facts that are memorable to adults and children. For example, 1 square metre of wheat could produce 1kg = 1 loaf of bread. NOT ‘we get a yield of 10t/ha which makes 10000 loaves of bread’. What does a tonne look like? What’s a hectare and 10 000 loaves would make me sick! 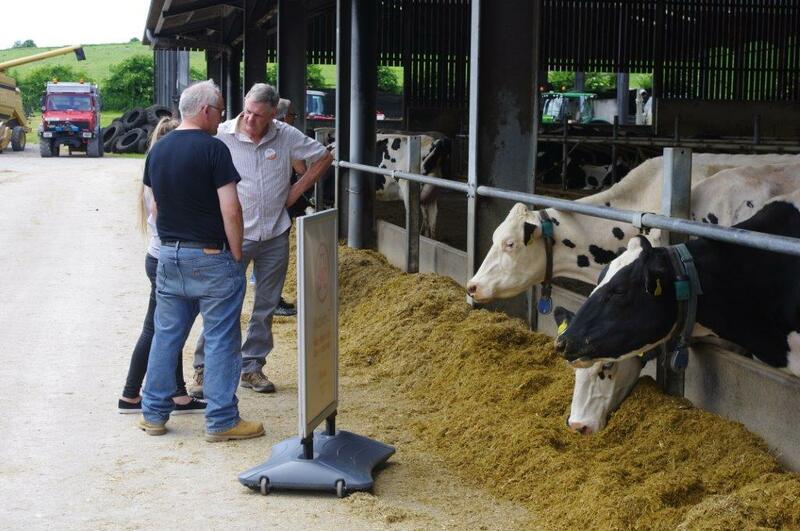 Use props, if talking about silage, stand next to some or have some in a large bucket so your visitors don’t only hear and see but also smell and feel. If you are explaining part of a cycle or system like how you make hay, if the machines are not to hand why not get some toy tractors to show the process. Simply use a white board to show the life cycle of a sheep flock (it works for school teachers). And good luck sharing some of the magic in farming on Open Farm Sunday on the 7th June! 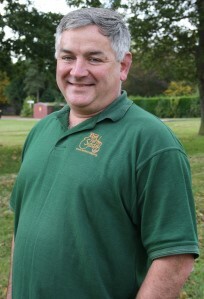 Andy Guy is Regional Open Farm Sunday Coordinator for the East Midlands. 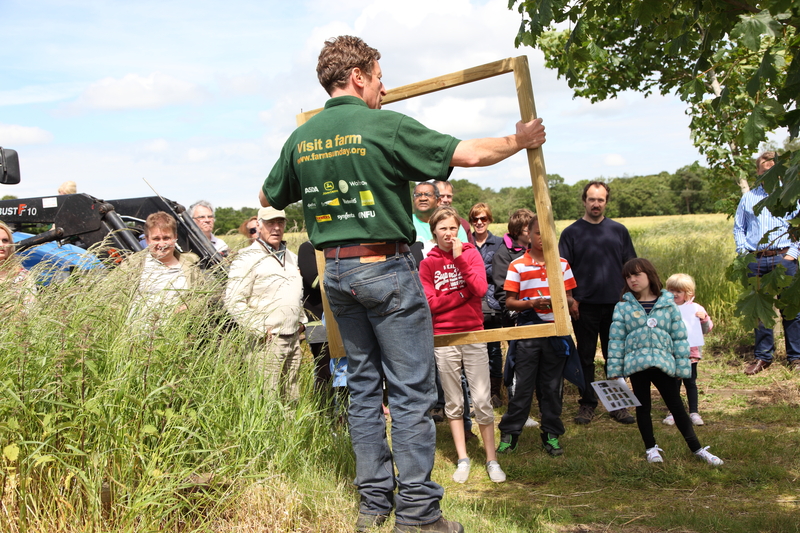 This will be Andy’s tenth Open Farm Sunday and he remains just as excited about the event now as he was back in 2006. Here, he shares some of his Health and Safety top tips. As I write this piece, in late April, about Health and Safety on Open Farm Sunday, most hosts will be torn between fieldwork and first cut silage but there are important priorities that need your attention ahead of the big day. However, the safety of your visitors, helpers and staff on 7th June is your responsibility thinking ahead now can save a lot of time later. Here are some of my key pointers below, but do read the H&S guidance given (pages 10 to 14) in the 2015 Host Farmer Handbook. One tip, which makes risk assessment easier for me is to find a friend to walk round your farm with you (my self-employed builder pal has proved most useful). A fresh pair of eyes is always helpful! You’ll find a blank risk assessment form at the back of your Host Farmers Handbook and remember to give a copy of your completed risk assessment form to your helpers. You need to contact your insurers. Most farm insurance policies cover you for Public Liability and many brokers will be happy to extend the cover to include Open Farm Sunday at no extra cost. You need a minimum of £5 million public liability insurance (if you regularly host school visits you will probably need £10 million). If visitors can climb on static machinery: Remove keys. Limit fuel in the tank. Brakes on and use chocks. Spikes down. Supervise if allowing people into the cab. Livestock bio-security: the golden rule is ‘clean in’, ‘clean off’ and keep visiting stock separate from other stock. Don’t forget to be aware of your personal safety: Keep your house locked. Be aware of anyone suspicious. Keep valuables locked away or supervised. 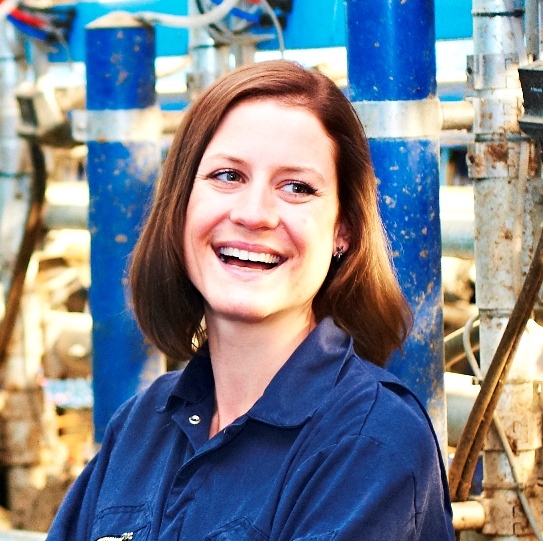 Tamara Hall, Yorkshire and Humber Open Farm Sunday Regional Co-ordinator, runs a 1,200 acre arable farm in East Yorkshire. She is passionate about giving children the opportunity to learn about where their food comes from and has been hosting visits for children for many years. 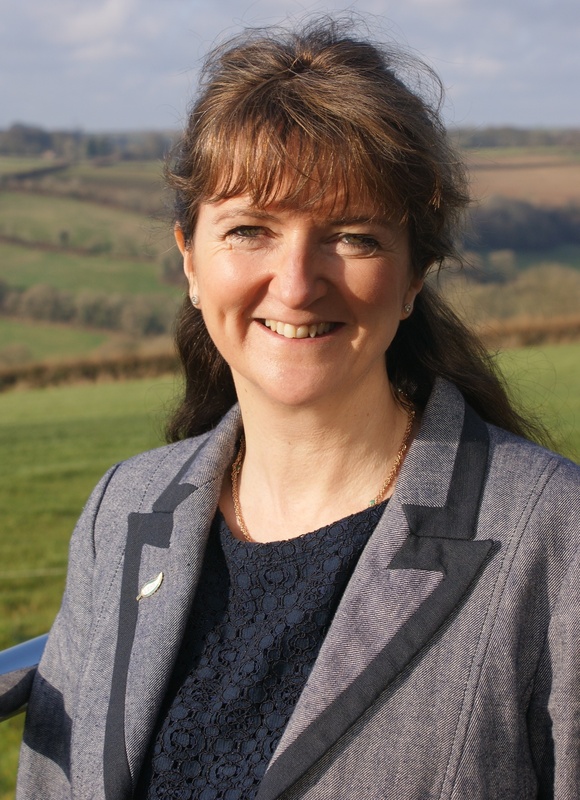 She has been hugely instrumental in the development of Open Farm School Days, which began two years ago. Tamara tells us more about her Open Farm School Days events, how they are run and their many benefits. We have been running visits to the farm for local school children for many years and involved in Open Farm School Days since the very beginning. We started with just the Friday before Open Farm Sunday as a way of publicising our Open Farm Sunday event and so increasing visitor numbers. We believed that the children would bring their parents back on the following Sunday and show them what they learnt. This worked and was definitely worth doing. However, we quickly realised that the children were in a much better frame of mind for learning when in a school situation, rather than with their parents! As we don’t have a farm shop and are purely doing farm visits for educational purposes and community goodwill, we decided that our time was better spent doing more school visits and the following year we ran four days with nearly 1,000 children, parents and helpers visiting our farm. The benefit of doing these visits alongside Open Farm Sunday is that we believe it helps to get the schools to visit us. 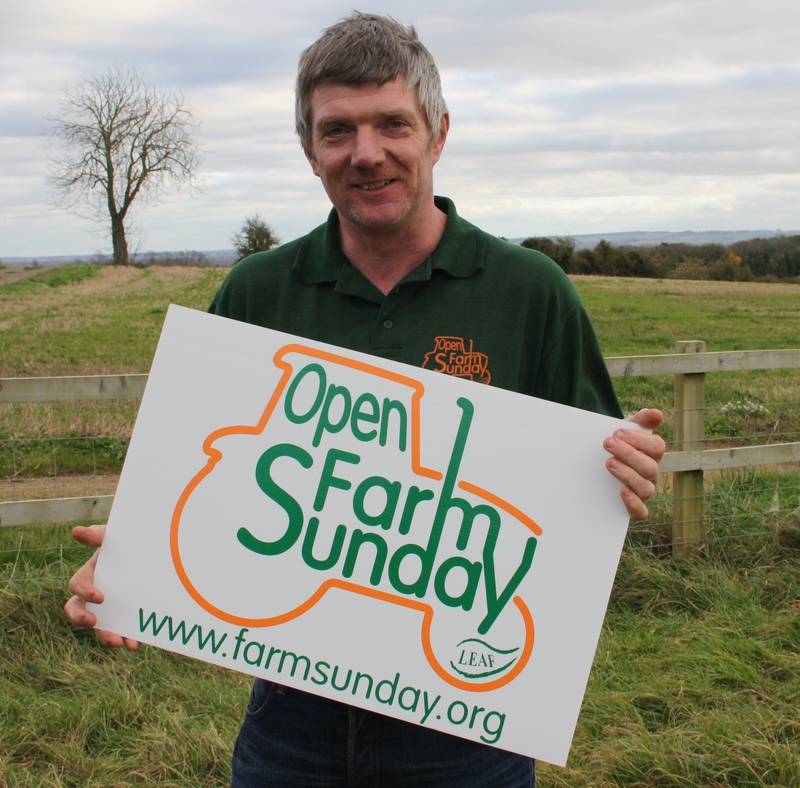 Open Farm Sunday has been a massive success with a large public recognition of the brand. This trust in the quality of Open Farm Sunday helps the schools believe in the value of Open Farm School Days. By focusing our visits on one week of the year, we can ensure the farmyard is clean and tidy. We stop farm jobs from 10am-3pm each of these days and we feel this is safer than running visits throughout the year. 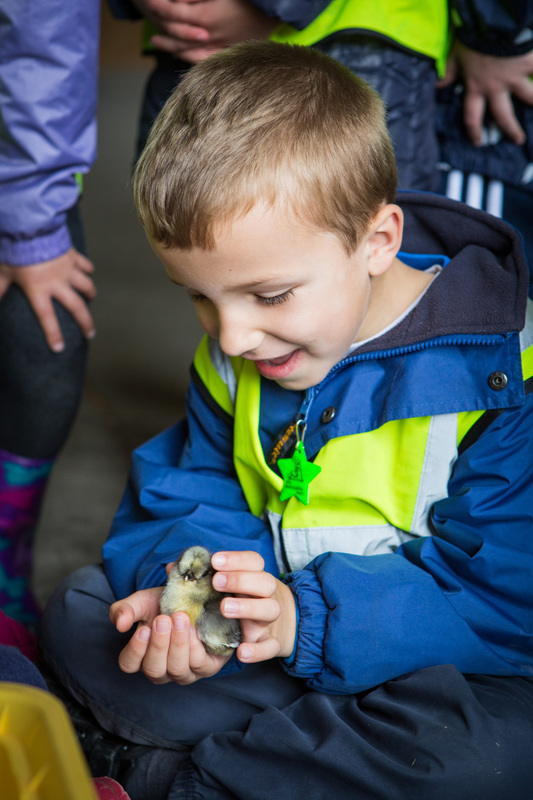 Livestock is bought in for this week, allowing a much wider educational experience for the children as we are purely arable the rest of the year. Open Farm School Days would not happen without our fantastic helpers! Many local farmers and people employed in local agriculture help on these days. Without them we would not be able to host these events. Apart from their valuable time, this is also essential as they are each experts in their own field and their enthusiasm for their industry is obvious and transferred to the children! Having the open days over a few set days makes it easier to ask our volunteers early in the year and I think this helps recruit help. Now we find the same people come back each year and know what they are doing so well that it has become pretty easy. As we have seven groups each day, each group only spends 20-30 minutes at each activity. 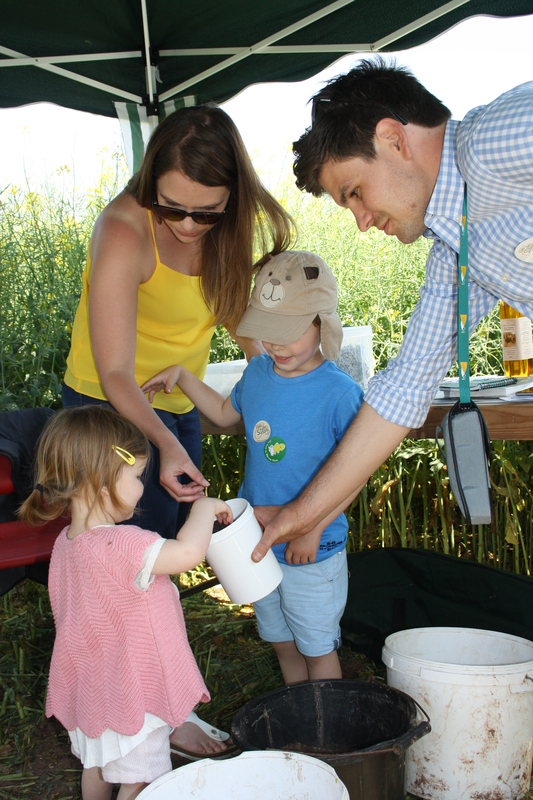 As a farmer it is easy to keep a group interested for this length of time and allows each group of children to see seven different parts of UK Agriculture, from sheep to pigs, arable, wildlife management and more. 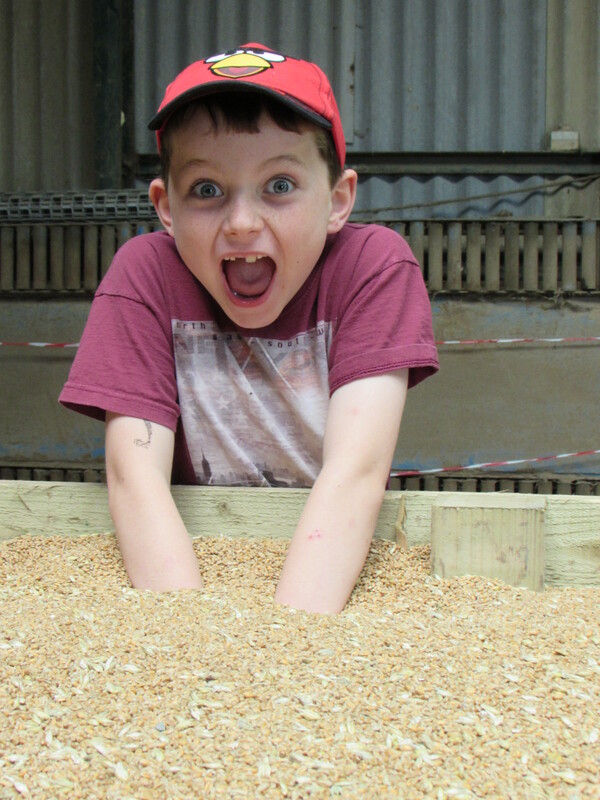 The best thing about Open Farm School Days now is that we get fantastic feedback and had all three days for this June fully booked by the middle of last September! Another unexpected benefit to the business has been the networking side of the event. Our local John Deere reps (RBM) host the machinery activity and we have definitely got a better relationship with them following this. Gleadells Agriculture fund some of the coaches from disadvantaged areas and this led to me helping them with their new website, alongside better relations in grain marketing. Stuart Bradshaw, from our local Mill, Bradshaws, hosts the arable activity and we have now started selling our Hard Group 4 wheat to them, on an average spec contract at a better price than offered elsewhere. None of these business benefits would have come about without Open Farm School Days.